Tullow has finally decided to sell part of its stake in the Tweneboa, Enyenra and Ntomme (TEN) oil project offshore Ghana. It is expecting bids from potential buyers by the end of this month. “The process to farm down Tullow’s interest in the TEN Development, for a development carry, is progressing well with bids expected to be submitted by the end of this month,” the company said November 13, 2013 in a management statement. Farm-down is when a licensed exploration company discovers oil and it wants to sell a share in its rights over the discovery to other companies. Tullow estimates the development cost of the TEN project to be $4.9 billion. It has 47% stake in the project. 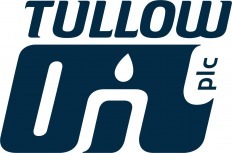 The Wall Street Journal reports that the value of Tullow’s stake in the TEN project is $1.15 billion citing analysts at Bank of America Merrill Lynch. Tullow’s Chief Executive Aidan Heavey in July 2013 said there had already been a lot of interest in TEN from potential buyers, including major Chinese oil companies, even before the process had officially begun. It has been reported that the UK oil explorer plans to give a potential buyer as much as a 20% stake in return for the buyer paying for the development costs up until the first oil is produced. The Government of Ghana approved the development plan for the TEN project in May this year. The TEN development project is expected to deliver first oil in mid-2016 with a plateau production rate of 80,000 barrels of oil per day as key contracts have been awarded. Tullow said, in October 2013, the Centennial Jewel trading tanker arrived in the Jurong Shipyard in Singapore, where it will begin its conversion into the TEN FPSO. The TEN project is located in the Deepwater Tano Contract Area with Tullow being the operator with an equity interest of 47.175%. Other partner interests are Kosmos Energy (17%), Anadarko Petroleum (17%), Sabre Oil & Gas Holdings Ltd, a wholly owned subsidiary of Petro SA (3.825%), and the Ghana National Petroleum Corporation (15%).